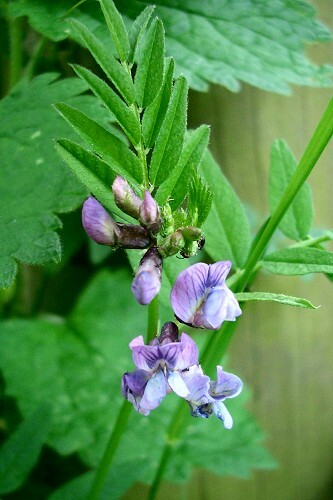 Bush Vetch is found in hedgerows, grassland and the edges of woodland. 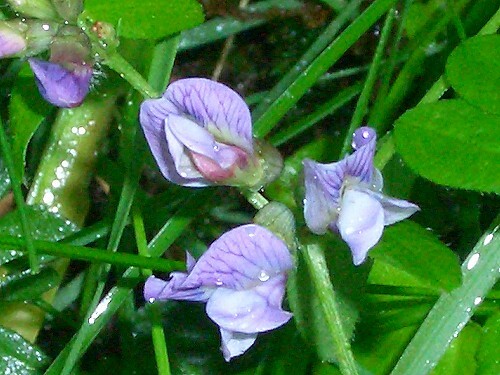 It is a climbing plant helped by branched tendrils at the end of each leaf stem which curl around surrounding plants. Each leaf stem consists of pairs of narrow leaflets. The flowers grow on spikes with up 6 - 8 pea-like, purple/blue flowers. It is similar to Common Vetch but each stem has more flowers and Bush Vetch is hairless whereas Common Vetch is slightly hairy.